Leave a comment on THIS post through Tuesday, April 11, 2017 to be entered in the DRAWING for a copy of the book below. If you mention in your comment that you’re a follower (see in the left sidebar “Join This Site” and “Follow by Email”), I'll add your name a second time in the drawing. U.S. mailing address required to receive a paper book. I may or may not have read books offered for giveaways. The mention and giveaway of books on my blog does not in any way indicate any manner of my endorsement of said books. Read book giveaway details at Disclaimers. To provide you security, please leave your email address like this: johnATyahooDOTcom. Winner announced in next Thursday's blog post. Francisco Bay Area, but currently lives in Wisconsin and loves the snow—when it accumulates under three inches. She writes Christian Fiction for teens and adults. Barb has a nutrition degree from Baylor University but loves to dip healthy strawberries in chocolate. Barb kicked off her Tribes of Israel series in October with the release of Providence: Hannah’s Journey. Naomi’s journey, Building Benjamin is out now. 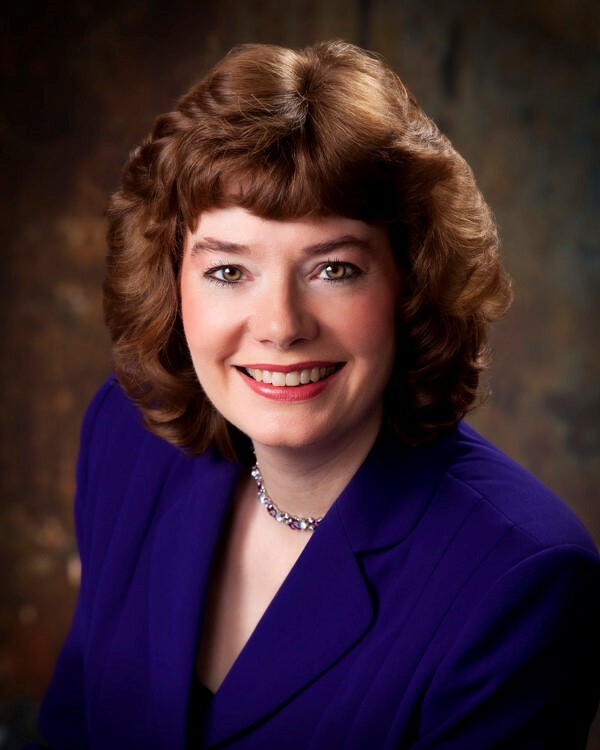 Barb is a member of the American Christian Fiction Writers, the Society of Children’s Book Writers and Illustrators, Romance Writers of America and Wisconsin Romance Writers. Welcome, Barb. What takeaway value do you hope your readers receive after reading your book? I had no idea this Sodom and Gomorrah-ish account was in the Book of Judges. I knew that Saul, the first king of Israel, was from the smallest tribe, the tribe of Benjamin, but I had no idea the tribe of Benjamin was almost wiped out by the other tribes of Israel (at the end of Judges). I follow three girls abducted by the Benjamites so their tribe could survive. Naomi, my main character, remains true to God and her beliefs during difficult circumstances. I hope she inspires others to do what is right in God’s sight. People are usually amazed that I’m an author. Then, after I talk about my books, they go fan-girl or fan-guy on me (Yes, there are a few men who read my books). I’m the same old person I always was, so I try to be humble and explain that it’s my job. But, I absolutely love my job! I am thankful God places stories in my head and that they are inspired from His Word. What’s one genre you have never written, and probably never will? Erotica. She laughs! All my stories have a romantic thread, but I don’t write what goes on behind closed doors. Mainstream romance includes the steamy stuff, but I write Biblical romance which is passionate, but doesn’t give my characters’ secrets away. I write about characters who fall in love with a person because of who they are inside and what they believe about God. All my characters love God and follow his laws—or at least try to. I enjoy writing biblical fiction that brings little known Bible characters, or events, to light. I hope readers will go to the Bible and read the original account in God’s Word from where my stories are born. If my readers learn something new about God then I’m happy. Please tell us a little about your novel, Building Benjamin: Naomi’s Journey. Love Grows Where God Grafts the Tender Shoot. substantial bride price due to the deaths of her brothers at the hands of the tribe of Benjamin. But when Benjamites raid the Ephraimite feast and capture young girls, Naomi is bound and carried from her home by Eliab, a troubled shepherd who needs a wife. Where can readers purchase Building Benjamin? Thank you to everyone who is stopping by today. And a big thank you to you, Jo, for hosting me again on your blog. What’s your favorite Bible story? Or favorite novel? Barb, thanks for visiting with my readers and me. 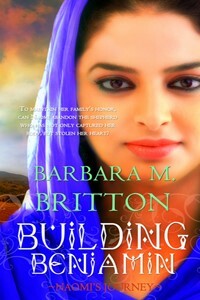 Barb is offering winner’s choice of a paperback or eBook copy of Building Benjamin to one commenter to this blog post. Commenters, to enter the book drawing please leave your comment on this post through April 11, 2017 and remember to leave your email address so I can contact you if you’re the winner. The winner of last Thursday’s blog post for a copy of Harmful Intent by Nike Chillemi is Debra. I’ll email you. Thanks all for commenting. Watch for more book giveaways. My latest book has released - With Good Intentions, a novella. Here is the cover, and you can read more about the book here. You can read the first chapter of the book on my website. Barbara, it's great to see you! My favorite Bible story is Elijah and the priests of Baal. He told them to keep putting water on his sacrifice. And then God sent down the fire. And consumed the sacrifice and all the water. Thanks for joining me on Jo's blog. I have taught that story of Elijah many times in chapel. Of course, I use blue confetti for the water as the school wouldn't want water on their new gym floor. I would love to see you teaching that story with the confetti! Anyhing to keep the students' attention. Sally, thanks for coming by and leaving your comment. This book soundss like a must read. The bible is filled with wonderful stories but The story of Naomi and Ruth holds dear to my heart. The love, the dedication, the determination and the love of God. Beautiful! I like the story of Ruth and Naomi as well. The romance between Ruth and Boaz is so suspenseful. My Naomi is an un-named girl from Judges 19-21 where girls were snatched to be wives of the remaining Benjamites. The Benjamites were almost annihilated by the other tribes of Israel. This ones not as fun as Ruth and Boaz, but there's plenty of romance--especially at the end. Melanie, thanks for stopping by to leave your comment. Oh, wow. I've often wondered what it might be like for the girls captured by the Benjamites. This book sounds quite intriguing. When I taught on young people in the Bible who did great things, David was right up there, fighting Goliath. I never realized this story about the tribe of Benjamin was in the Bible. I came late to the party. Darcy, thanks for commenting. Glad you find Barbara's book intriguing. I love Biblical fiction. As I read I learn so much about the life and times. Love reading about Rahab and Ruth since they are ancestors of Jesus. Thanks for commenting. I think the stories about Rahab and Ruth are interesting because they were foreigners. The Israelites were under strict rules not to intermarry with foreigners. Both these ladies followed God when their societies didn't. What strong women! Nancy, Glad you left your comment. I appreciate you following my blog! Lately, my favorites are stories taken from the Bible. Thank you so much for the opportunity to win! Debra, you're welcome. Thanks for commenting and for following my blog! Thanks for joining us. I'm glad you like stories from the Bible. My husband always says not to bore people with the Bible because it's the most exciting and amazing book. I agree. This sounds like a really good one. I do enjoy Biblical fiction. This was a tough story to write as it is an enemies-to-love story. Although, I think it turned out well. I'm a bit biased. Ann, thanks for coming by and leaving your comment. I'm so glad you like Biblical fiction. Agents wouldn't touch it, but librarians tell me their patrons love it. I enjoy writing it. Sonja, I appreciate you following my blog! So glad you read each post! Thanks for commenting. My favorite story would probably be...aahh! I can't decide! There are too many too many good ones to choose from! Elly, thanks for stopping by and leaving your comment. The Bible is full of great people doing amazing things. I'm glad God uses all of us. My favorite stories are Ruth and Naomi, David and Jonathan and the bleeding woman. Sonnetta, thanks for coming by and leaving your comment. Thanks for joining us. Tessa Afshar's "Land of Silence" is a unique take on the bleeding woman.